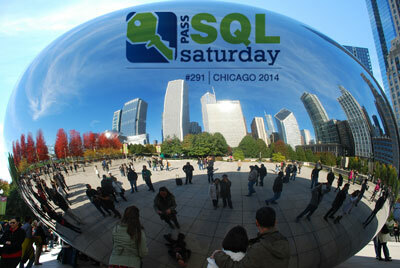 SQL Saturday Coming Back to Chicago in 2014! This year Chicago will be hosting it’s 5th SQL Saturday! SQL Saturday #291: Chicago 2014 is now open for registration! As always, the event itself is free. An optional lunch will be provided for $10. We are once again very grateful to DeVry University for hosting us. This year it will take place on Saturday April 26, 2014 at DeVry’s Addison campus. Please join us for a great day of free SQL Server training, networking, and #SQLFamily in Chicagoland! The call for speakers is open – please submit your session(s) by February 25, 2014! New speakers are always welcome – getting a good mix of experienced and newer speakers is what SQL Saturdays are all about. If you’ve always wanted to speak at an event like this, here’s your chance! PASS Summit 2014 Early Bird Rate Ends Friday! Just a quick note that the PASS Summit 2014 Early Bird rate of $1095 ends Friday 6 December. You don’t have to look very hard to find lots of blog posts about how PASS Summit is an amazing experience at any price, but this is a great opportunity to save $1200 off the full registration rate. Starting Saturday 7 December the price increases to $1395. – If you sign up now at the lowest possible rate and your employer agrees to send you later on, you just saved them some money. Perhaps you can even use the lower rate you secured as a bargaining chip to encourage them to send you. – If you register now and your employer can’t send you later on, you saved yourself a lot of money. – If you register now and have to cancel, this is where things are less glamorous. According to the cancellation policy you are entitled to a refund, less a $295 processing fee, if you cancel your registration by July 31, 2014. All the registration info can be found here. I can’t wait to be back in Seattle next year, and I hope to see you there! 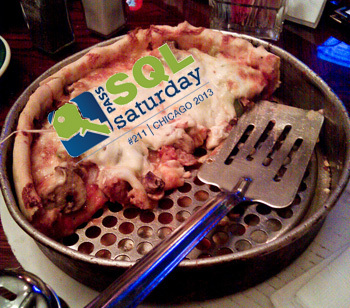 SQL Saturday #211: Chicago 2013 is approaching quickly! 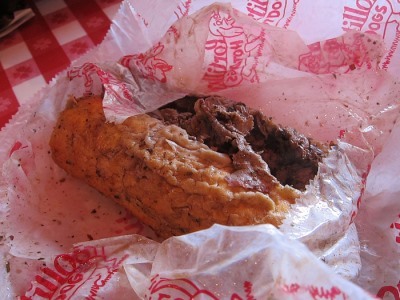 I’ve gotten a few emails inquiring about what food will be served, and I’m very happy to announce that lunch for this year’s SQL Saturday Chicago will once again be catered by Portillo’s! The menu will consist of their famous Italian Beef sandwiches, salad, and Mostaccioli. We will have grilled veggie sandwiches available for those of you who requested a vegetarian option. Please PLEASE be sure to check the vegetarian meal box on your registration form if you need one. We will have very few extra veggie sandwiches (if any), so we need an accurate count to be able to plan ahead. In other news, the schedule has now been posted. We have an amazing lineup of speakers this year, many of whom have traveled great distances to share their knowledge with you for free. Please help make sure their sessions are absolutely packed! Registration is still open, so sign up today if you haven’t already. We’re looking forward to another great time! Hope to see you there! Speaking at SQL Saturday #206: Wisconsin 2013! I am very happy and honored to have been chosen as a presenter at SQL Saturday #206 coming up on April 6, 2013 in Madison, Wisconsin! As I previously mentioned I had a wonderful time there last year and am definitely looking forward to heading back. This time around I’ll be giving a new presentation on tuning backups and restores. Despite what your SAN administrator might tell you about snapshots, you really do need to run backups on your databases, so it’s to your advantage to make sure your backup and restore processes complete as quickly as possible. I’ll be covering tips and tricks that can help dramatically speed them up so you can save the day that much sooner! The team up in Wisconsin has put together a great schedule that you won’t want to miss. And as of right now, you won’t have to! Registration is still open, so sign up today! SQL Saturday Returns To Chicago A Fourth Time! Where can you find deep dish pizza, questionable politics, amazing architecture and a great SQL Saturday all in one stop? Sweet Home Chicago! The organizing committee in the windy city has been hard at work, and SQL Saturday #211: Chicago 2013 is open for registration. This year the event will be taking place on Saturday April 13, 2013. DeVry University’s Addison Campus is once again graciously allowing us to use their awesome facility. We’re all looking forward to a great day of free SQL Server training, networking, and #SQLFamily in Chicagoland. Please join us! As in past years, the event itself is free, but there is a $10.00 charge to cover the cost of lunch. This year’s meal offering has yet to be determined, but Portillo’s was a hit last year and leaves us with big shoes to fill! The call for speakers is open! Submit an abstract or two! Have you always wanted to present at a SQL Saturday but have been waiting for a sign to do so? Consider this your sign. If your first thought was B. A. Baracus of the A-Team, you’re not alone. I’m talking about a different B.A., but I’m sure Mr. T. pities the fool that doesn’t come to his hometown of Chicago a few days early and attend the first-ever PASS Business Analytics Conference! It’s taking place April 10-12 2013, immediately before our SQL Saturday. 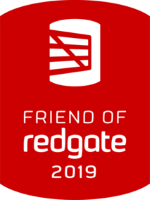 The weekend before Chicago’s SQL Saturday our neighbors to the North will be hosting one of their own. Consider heading to Madison, WI on Saturday April 6 for SQL Saturday #206. I had a blast there last year and am looking forward to it again! As you can see, we have plenty going on in the upper midwest April 6-13. Please consider joining us for one or more of these great opportunities to get your learn on. I hope to see you there!